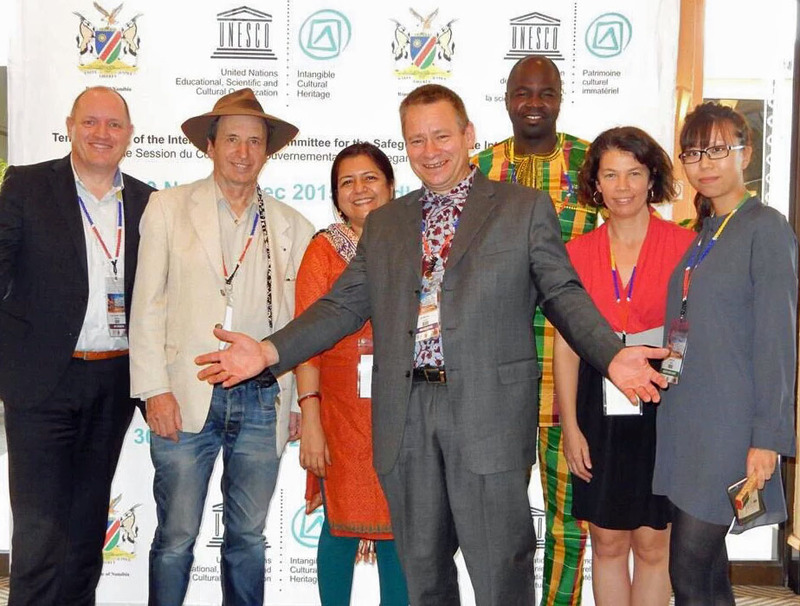 The Editorial Board #Heritage Alive met in Windhoek, November 30th 2015 in order to discuss our work so far. Present was Chang Liu, Shelley Ochs, Ananya Bhattacharya, Albert vd Zeiden, Ki Leonce, Jean Roche, and Eivind Falk, who was reelected for a new year as #Heritage Alive’s editor in chief. So far there is published six articles in total, two in 2015. We are on the track organizing the translation of summaries of articles in French is on track. Hopefully the two articles published in 2015 will be ready before Christmas 2015. We have organized three symposiums discussing the incoming articles in 2014 and 2015 (at 9.COM, at the GA 2014 and at the 10.COM). At the 10.COM in Windhoek we were invited to have a presentation of #Heritage Alive and our work so far at the NGO Forum. The articles should have a practical approach and describe the methodical challenges we meet as experts and NGOs in the field. Examples both of good practices and bad practices are welcomed in order to share reflections and experiences between the NGOs and experts. In the period in front of GA2016 #Heritage Alive would like to encourage authors and NGOs to discuss the same theme from different views; Articles focusing on traditional medicine, for instance from France, Burkina Faso, Caribbean and China. The articles should contain maximum 2000 words. Deadline for new articles will be 1st of March 2016. All accredited NGOs are hereby invited to contribute. Your contribution can be emailed to Eivind Falk eivind.falk@handverksinstituttet.no. Please send your contribution without pictures, as we will include them later. Heritage Alive ‘s initiative to explore the knowledge and experiences of ‘Traditional Medicine’ is really commendable. I may bring to your kind notice that the people in India do have popular and effective practices of ‘Traditional Medicine’. If you allow me to seek useful article from an expert colleague , will you accept it? Please let me know . We will be glad to share our Traditional knowledge of medicine.